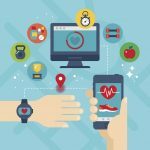 Home » How Can Insurance Companies Utilize Digital Health Services? In our last blog, we discussed the role insurance companies can play in maintaining their customers’ health. Insurers are starting to respond to the opportunities of new technologies by building digital health services into their products. The big question is how they get these new offers into continuous use by their members. The fast pace of innovations has led to a wide range of devices and an even wider range of smartphone housed apps. The result is bewildering for end-users. Therefore, many insurance companies took the first important step and selected the best services for their members. But it takes more than the selection to get consumers to use these digital services in the long-term. People, especially those who should take better care of their health, don’t bother to try a couple of new apps with own registration process, login and logic. Most of them tend to take no action at all if the services are not convenient and motivating from the very beginning. So, what does it take to get insurance members to use the new health services regularly? First, the insurance company must find a way to attract users to try the new digital services. This can be done for example, by offering points for signing up, a wearable device as a reward and a free health test. This is not only interesting for the users but also delivers the first important information to the insurer: it enables the insurance company to segment the population. From now on, personalized services can be introduced to every individual. Those can be combined with timely and individualised recommendations about apps, services and devices. Reminders, visibility of progress and incentives for every step the member takes towards their health goal, helps to keep users motivated. This way, the insurance company designs their own engagement process with rewards system – and keeps the customers for good. 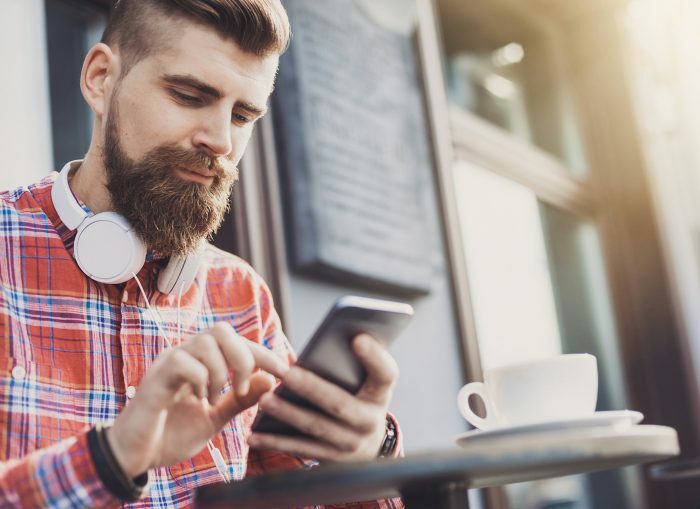 Besides the process to attract and keep members interested, an extraordinary user experience must be granted: The insurer should design and manage their own app according to their company brand standards, business focus and philosophy. By combining the health content, services and apps they have selected as the best from the market, their own distinct service-set can be distributed as one offer to the users. This way, the company stands out on the competitive market with a next-level digital health service-set. Existing services such as claims apps, nurse help line or already utilized 3rd party apps should be integrated into a seamless experience for their members. Switching between services must be easy for the user and the data should flow, e.g. from trackers to the main app, so members can get the most out of all content without additional effort. The solution for this outstanding user experience is a pure, highly customizable platform, which enables any insurance company to offer the health and wellbeing services that are right for them and each individual customer. With Wellmo, insurance companies can offer their members not only digital health services but guidance throughout their progress. The individual program for each member is made possible by utilizing insights into outcomes and results. Based on rules, members can be divided into risk groups. Insurers can witness which services are liked and lead to health progress. Based on the information, the service-set can be continuously developed further and stay valuable for every individual member. The Wellmo powered “Smart Life” insurance of LocalTapiola, Finland’s second largest insurance company, showcases the business benefits this new approach holds: In late 2015, the new product was launched. In 2016, LocalTapiola’s market share jumped by 3 percentage points. Wellmo’s platform is unique in its openness to any content or program. Wellmo is basically the glue that sticks together health innovations for insurance companies and their customers. This same glue also attaches insurance customers to their health goals! 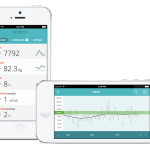 Would you like more information about Wellmo? Please do not hesitate to call us or send us an e-mail. We are always happy to be of service to answer any question you might have.